Everyone knows that having fun on the Costa del Sol is very easy if you want to enjoy the weather on its fantastic beaches, shop in Puerto Banús’ most exclusive shops, or enjoy nature in thousands of magical places and learn something new in its rich and varied cultural offer. It is also, though many do not know, one of the best places to have a terrific time… in both ways! 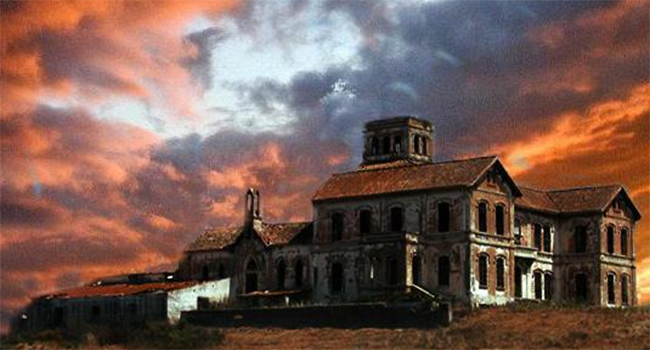 In addition to being a land of stories and legends, it is the place where many famous ghosts live, such as “el Sacamantecas”. There are also ghost ships, princesses of distant paradises, fearsome bandits, cats coming from other planets, brides dressed in white, waves as mysterious as the sea itself and the most famous haunted house of Spain. Do you dare to venture into it? 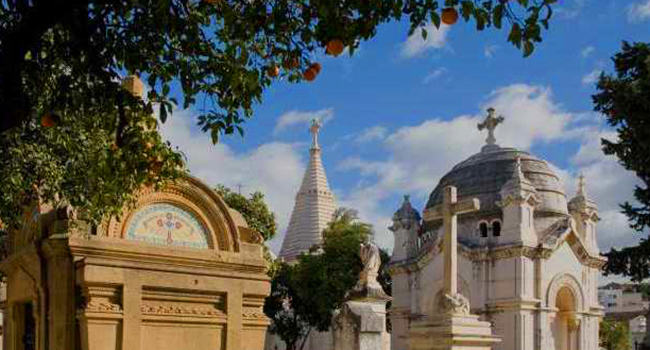 Voices, phone interference, moving objects and strange forces… If there is any suitable place where one can make such terrifying experiences in Málaga then it is Saint Michael´s Cemetery . A monumental place designed by Mitjana in 1810 where the remains of, among others, Salvador Rueda, José Denis Belgrano, José Moreno Carbonero, Salvador González Anaya, Eduardo Ocón, or Rafael Salinas, rest. Even the American writer Jane Bowles has her own pantheon, which we are going to examine more closely now. Each year, at the same time, at six p.m., she comes out to pray beside her own grave. Dressed in white, she sits quietly for a while, reads a book, and returns the next year. But she is not the only visitor. The guards have many other stories about playing children who refuse to leave this world. Out in the residential neighborhood of Campanillas, the Jurado´s country house has seen better times. Besides its impressive facade of eclectic and neo-gothic style of English influence, mysteries, satanic rituals, legends, speculations about Freemasonry, sacrifices and burials were hidden beneath its foundations. The property, owned by the Heredia family, had more than 2,500 square meters of living space, a huge central courtyard, a tower with spectacular views, stables, and even a chapel. That all only in the public area. But its darkest secret lays even deeper. In the cellar there is an extensive network of tunnels, some of them several kilometers long, that lead to the Guadalorce Golf Club, which used to belong to the Larios family. Both families are related to the disappearance of five young girls between 1890 and 1920, whose tortured bodies were buried in the property. Since then some say that there are lights that appear at night and strange voices and noises. Just as little should we forget that during the Civil War the estate was turned into a hospital and its basements into dungeons. Would you stay for the night? Several plans to transform it into a Hotel have been paralyzed and it has recently gone on sale for around 16 millions euro. The Larios and Heredias are not the only families of that time that have their own legends. The Galvez family from Macharaviaya , who used to have a lot of influence centuries before that and worked closely with Charles II, were ambassadors in America, Africa and Russia and even fought alongside George Washington in the American Revolution. Their story is that of a broken promise. Although they donated a generous amount of money to the village’s church for an annual memorial Mass to commemorate all family members’ souls, the agreement was forgotten. 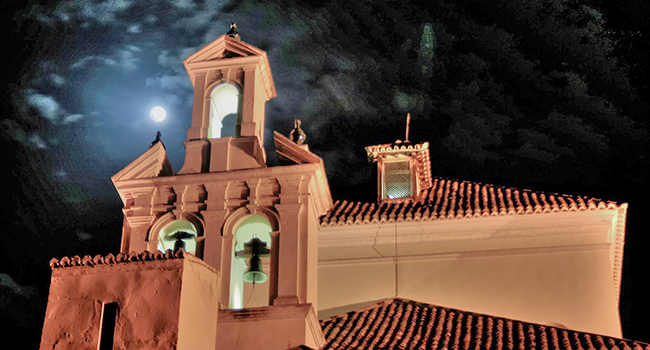 Since then, the church of St. Augustine, which contains the Crypt of Galvez , is cursed and haunted by old-fashioned ghosts that vow revenge. But they are not the only guests. Some speak of a bride all dressed in white and about a priceless treasure trove, but that’s another story. 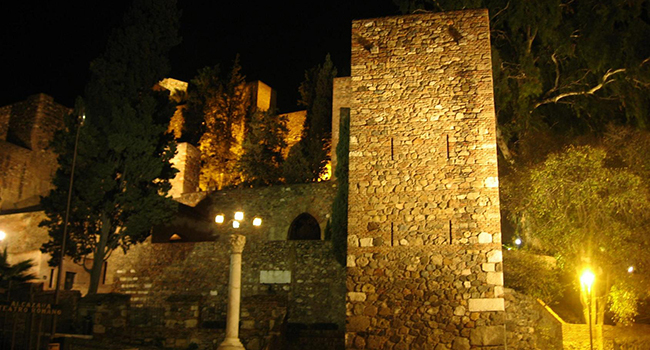 And there are still many more horror stories awaiting to be discovered in Málaga, along the Costa del Sol, but perhaps these have been too many experiences to have a terrific time for just one day. Or can you take more? Everyone knows that having fun on the Costa del Sol is very easy if you want to enjoy the weather on its fantastic beaches, shop in Puerto Banús' most exclusive shops, or enjoy nature in thousands of magical places and learn something new in its rich and varied cultural offer.